Dressed in a simple outfit comprising a black blouse, black leather jeans, topped with a red tapered velvet jacket and just oozing effortless charm, Ms. Bruni proceeded over the best part of the next two hours to offer us a masterclass in the art of the Chanson. The format was incredibly simple – in her totally disarming accent, Carla would introduce a song, illuminating with a brief story (spoiler alert – most of the songs revolve around the universal themes of love and attraction), tell a joke at the expense of the French Language (“Ta tienne” translated nonsensically as “Your yours…”) and then hold us spelbound. 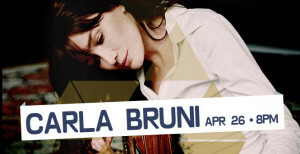 The concert was billed as “Carla Bruni sings little French songs” (the title of her most recent album). In fact she drew heavily from all three of her French-language albums (Quelqu’un m’a dit”, “Comme si de rien n’était” as well as the aforementioned “Little French Songs”). The night was a cent pour cent celebration of the chanson francaise – even to the degree that Carla introduced her version of Charles Trenet’s “Douce France” (“Dolce Francia”) in the context of a homage from a young girl recently moved from Italy and falling in love with the musical culture and history of her new home. The set was particularly well balanced – a representative mix of slower romantic numbers (“L’Amourouse”, “J’arrive à toi”); up-beat and amusing (“Pas une dame”, Raphael”, “Chez Keith et Anita” and “Mon Raymond” – an ode to hubby Nicolas – although I still can’t quite see him as a pirate); the sad (“Darling” and “Salut marin” – an ode to her half-brother who died from an AIDS-related illness). From the opening bars of the aforementioned auto-harp that resonates throughout “Rien pour moi” – a deliciously troubling portrayal of an emotionally challenged relationship – you realise that you are listening to something rather special. The songs on this album demand attention – the lyrics have a truly biographical feel and every song on this album sets a scene as a narrative unfurls. On an album choc-full of stand-out compositions, it is perhaps remiss to highlight a mere handful of songs here, however the way that “Écoute sans parler” and the effortlessly way that the song ploughs a similar psychedelic furrow to two of last year’s standout albums – Hôtel Morphée’s “Des histoires de fantômes” and Forêt ‘s stunning eponymous debut; “Un oiseau dans la vitre” – and it’s wonderfully uplifting and soaring chorus and “Le piège” – all hypnotic grove and emotional rawness – all hint at how truly outstanding an album this is. There’s a perfect synergy with lyricism and melody on display here; the end result is a truly outstanding album that deserves to be in any discerning record collection. Lunes” was released in the same week as Catherine Leduc’s “Rookie” – an album that I’ve just rated as year-list material. I’d argue that this album is proof that lightening does indeed strike twice. Wandering off the usual beat, a couple of years ago I came across ?Alice! and sought out their two released CD’s, “Divagation Douce” and “Baisers Allumette”. There’s a third, “Ce soir on mange les restes”, not released, that was at one time offered for free on their website. I can’t find it now. Or anything at all online, for that matter. ?Alice! 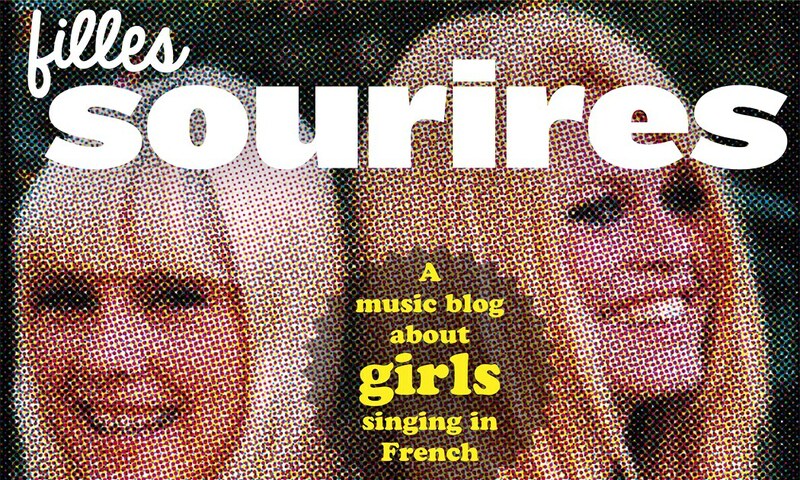 made something of a splash on the Quebecois music circuit in 2001, with a garage band sound and Esther Teman’s filles fragile voice, sort of Ramones, Pixies and perhaps a hint of Gainsbourg. Well, considering one of the tracks is a cover of “Poupée De Cire, Poupée De Son” (slow and melancholy, starting with the sound of falling rain – I was prepared to not like it, but it seems to work somehow, and has grown on me over time), more than a hint of Gainsbourg I guess. The songwriting was mostly Vladimir Garand, and the first CD features some of his vocals (not recommended, but “Caracoule” is okay), but ?Alice! featured Esther much more heavily on the second CD. There’s not much information ready to hand on ?Alice!, but here’s a nice article on them from their first year. 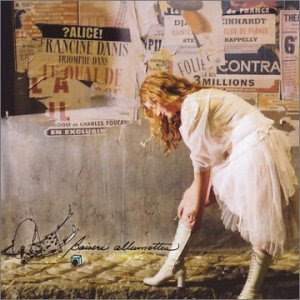 On “Divagation Douce”, a hard CD to find and roughly half of the songs are a hard go, “Polyester” and “Muse and Musette” are favorites. I much prefer their second CD (used copies are more readily found). On “Baisers Allumette”, “Tigresse” and “Le son etrange” I like best. Originally the female half of Canadian folk-pop duo Tricot Machine, “Rookie” is the debut solo album from Catherine Leduc, and despite the fact that Matthieu Beaumont – long-time partner and the other half of the Tricot Machine – helped produce, mix and play on a number of the keyboards, the sound is far removed from the frothy, bouncy – cute – piano-based pop that the duo were renowned. In it’s place is an incredibly dreamy, melancholic, atmospheric and ye, more mature, sound. 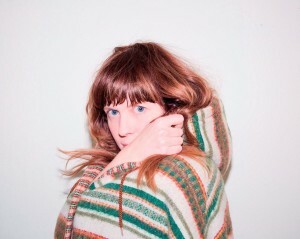 Similar to Fanny Bloom (the voice behind La Patère Rose) and her own stunning 2012 solo “Apprentie Guerrière, “Rookie” sees Catherine Leduc blossom and deliver as assured an album as is likely to be released this year. “Rookie” may seem a strange title for an album from an artist who in one guise or another has been performing and recording for over a decade, but as Catherine has revealed in interviews in the French-Canadian press, this album really is about starting out afresh and (re)defining herself, musically. The haunting introduction to “Les Vieu hiboux” – with polysynth owls swooping through the midnight forest – sets the melancholic theme that is developed through the ten peerless songs featured here, all aided by the added tinge of fragility that Catherine’s vocals deliver. This feeling of melancholy is further driven home on the sublime “Vendredi Saint.” It’s an absolutely beautiful song – the construction – building from a solo acoustic guitar accompanying incredibly resonant lyrics that would surely melt the iciest of hearts – is as powerful as it is simply executed. “Pee-Wee BB” sees Catherine explore through junior (ice) hockey, themes of inferiority and overcoming adversity – themes which again are woven through the album; while “Polatouche” adds glockenspiel with overdubbed vocals and the most angelic of choruses to a perfectly paced song. “Rookie” is one of this year’s outstanding albums – irrespective of language. Should further recommendation be required, it has, in my humble opinion, the same wow (as in “Wow! WTF was that?”) factor as Forêt’s astonishing debut from last year. Well, I won’t do that again. I’ve been waiting for over a month for a delivery “shipped all together”, waiting for Chloe Lacasse’s new CD to be released. Chloe’s new CD has some good songs (more from Steve soon, I understand), but in the meantime I missed out on Emilie Simon’s new album, “Mue”. No longer. My usual criteria for writing about a CD is if I listen to it through to the end without feeling like switching to something else. Emilie’s new one I listened through, and then through again. I well remember the disappointment years ago when Emilie drifted away from French song. Her CD “Franky Knight” had a share of French songs, but to me it lacked the edge Emilie had before. “Mue”, however, rings sharp and clear, from first to last note. Emilie’s voice on her various CD’s has always been one of “sit up and take notice”, with an edge making even soft songs somehow more interesting, capturing and holding attention. In this one, Emilie brings back memories of “Vegetal”, and with the title “Mue” (molting) suggesting she’s changing her feathers, perhaps she’s back for a while singing chanson francaise. I wish “Wicked Games”, the final song on the CD and a cover, was also in French. But if instead you choose to think of the CD as ending with “Les amoureux de minuit”, it’s fitting enough. Beautiful and interesting. Thanks, Emilie.